It has been awhile, but we are back with a Featured Track. 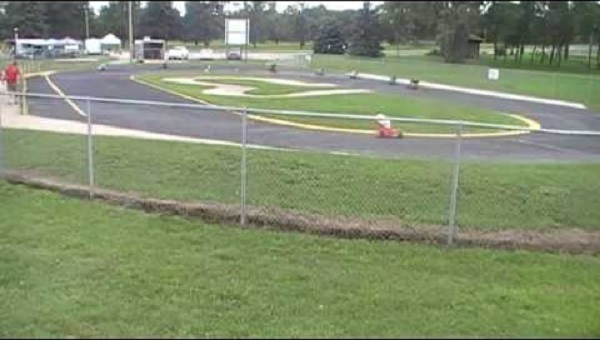 The Riverfront RC Speedway is located in Fort Dodge Iowa. The asphalt track is built on a 125ft x 75ft plot and features a 5ft high drivers stand that is 43ft long. They run 1/10 and 1/8 scale vehicles and have a fully built computerized timing system. They are open Monday to Friday from 11 to 5, Saturday and Sunday 11 to 3. Membership prices are structured as follows. Membership: Youth (Monthly) $30.00, Adults (Monthly) $40.00, Family of 4 (Monthly) $45.00 & $3 for each additional youth. Check out the Sprint cars in action. This place looks like a crazy good time. I have never raced on asphalt, but it is something that I must try.